John is the co-founder of the Global Blockchain Summit. The Summit is focused exclusively on Blockchain technologies that support fin-tech, smart contracts, telecom, energy, healthcare, IoT, smart cities, and supply chain solutions, and presented by visionary speakers that have developed Blockchain solutions using leading edge technologies like Ethereum, and Hyperledger. John is the President of the Denver Chapter of the Government Blockchain Association (GBA), a Blockchain Trainer and Educator, National Speaker, Blockchain Consultant, and he leads the Hyperledger Meetup in Colorado. 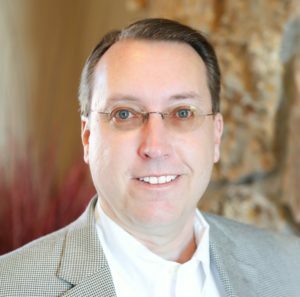 John is also an active contributor to the Accord Project smart contract platform and earned a Juris Doctorate degree and MBA from the University of Denver. He recently joined Universal Broadband and Technology Services as a founder and advisor. John has spoken about blockchain technology at many events, including the Government Blockchain Leadership Forum, Africa Energy Conference, Oppenheimer, CGAIT, FEI, CFA, and Continuing Legal Education seminars.